The connection between Aston Martin and James Bond is one of the most famous in cinema history. From the DB5, to the V12 Vanquish, to the DBS, Bond has driven some of the most beautiful examples from the British carmaker's history. Aston Martin, of course, isn't blind or deaf to good publicity such as this. The company recently released a commemorative DB9 GT Bond Edition, festooned in 007 badging and including a James Bond Omega Watch. 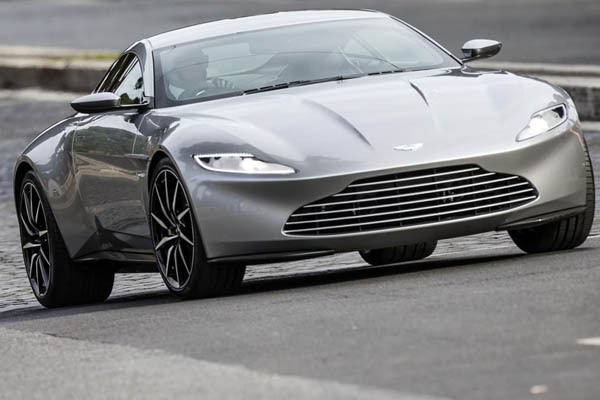 Aston Martin's newest one-off, the DB10, will also be showing its pretty face in the new upcoming ​Bond film, Spectre. Aston claims the DB10 is "a model developed specifically for the film and built in-house by Aston Martin's design and engineering teams.​"